The doctor has done an incredible job on my breast reduction. The whole experience was beyond and above the expectation. I was feeling absolutely safe, comfortable and ease while undergoing surgery with him. The doctor was quite patient and kind with me all the time. The care taken was appropriate and that made me recover faster and smoother. I recommend him as a best surgeon of the area! I was very uncomfortable as my breasts were unnaturally big and it caused me breathing problem at times. So, I decided to undergo a breast reduction surgery and I am amazed at the result. I have fallen in love with my lighter self. It had been an extremely positive experience right from the moment I stepped in the office. The staff is knowledgeable and friendly. The entire process was done with precision, care and accuracy. I am thankful to the entire team of Dr. Y.V. Rao’s clinics. I decided to undergo a face surgery once I started having creases and wrinkles on my skin. I was very depressed looking at my face. My facial muscles went loose and I lost an edge in my features. Thus, I decided to go for face lift surgery. I had heard good opinion about Dr. Y.V. Rao’s clinic and I got good response in consultation. My post-surgery results are incredible and I look and feel young again…Thank You so much!!! Being a Public Relations Manager, I always have to do the public appearances. Stress, anxiety, age and extra fat had taken over my skin and face that made me looks weird. I was losing confidence and was going under depression till I discovered Dr. Y.V. Rao’s clinic. I consulted the doctor there and decided to undergo a face surgery. The post-surgery results are incredible. The fat on my face has been removed, skin has become tighter and I look almost 10 years younger. I am getting compliments everywhere I go. Thank you so much Dr. Y.V. Rao and team!!! It was a pleasant surprise for me to see my hair growth on the bald area. All thanks to Dr. Y.V. Rao’s clinics for giving me the best treatment for hair transplant with the fine technique. I appreciate the skilful and cooperative staff for making me comfortable during pre and post-surgery. Baldness was causing a lot of shame in me. People used to stare at me and comment on me which was big time devastating for me. Especially, I was losing hair at such young age that was causing demotivation in me. 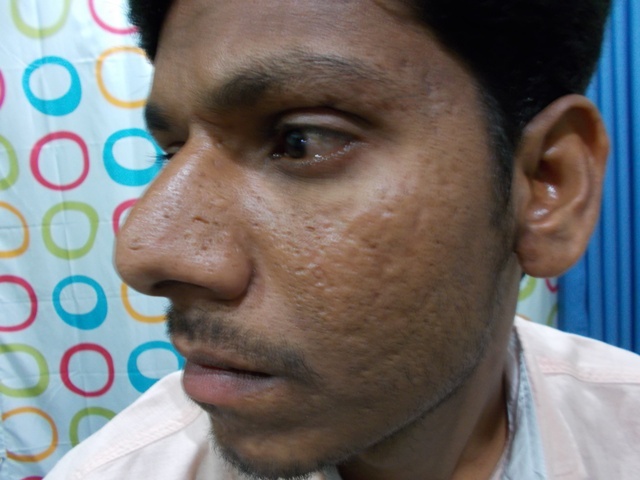 So, I decided to go for FUE hair transplantation with Dr. Y.V. Rao’s clinics as it was suggested by my close friend. I got a very nice treatment and service over here. My surgery was successful and I have started regaining my hair. I am happy and satisfied with overall outcome. I was getting depressed day by day due to my problem of hair loss and baldness, till I discovered Dr. Y.V. Rao’s clinics. 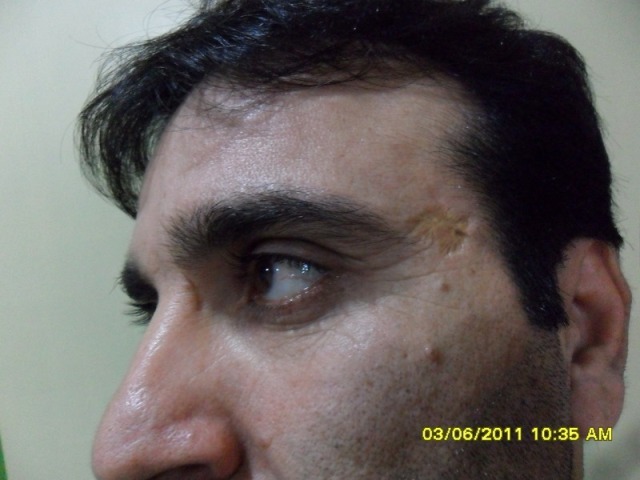 After the hair transplantation, I can say that I have fought the hair loss successfully. I extend a Big Thank You to the entire staff of Dr. Y.V. Rao’s clinics for treating me so well and giving an absolutely brand new look. Thank you for giving me back my lost glory. I had an amazing experience at Dr. Y.V. Rao’s clinics right from starting to end. The entire process was explained to me in a crystal clear and transparent manner. The doctor is an expert at his job. I went through sculpting of calves, knees and ankles liposuction. The results are amazingly wonderful. Thank you so much to the entire team of Dr. Y.V. Rao for making my dream turning into a beautiful reality. I went for the consultation in December 2017. The areas of liposuction were inner thighs, outer thighs, stomach and arms. I got an informative consultation that lasted for around an hour. The doctor is indeed an expert and best at what he does. He is honest in giving feedbacks such as what he cannot do and what he can do in order to help you. The liposuction results are better than I had imagined it would be. Dr. Y.V. Rao is a very humble and knowledgeable doctor. He has done an amazing job with my arms and sides liposuction. The staff is accommodating, friendly and caring. Wherever I am going, I am getting tons of compliments about my thin and ton looks. I am more than happy about the results I have got. My entire experience at Dr. Y.V. Rao’s clinics was wonderful and satisfactory! This is the second procedure of breast liposuction that I am undergoing and I truly believe that the money I spent is absolutely worth it. The entire staff is cooperative and accommodative. The concern of the staff makes you recover even faster and better. Also, I loooooove the result I have got. A big thank you to the entire team at Dr. Y.V. Rao’s clinics. Kudos!!! Wow….Just Wow!!! I am feeling absolutely wonderful after undergoing abdomen liposuction. If you also want to lose inches, then definitely you have come at a right place. It works amazingly well and I have already recommended Dr. Y.V. Rao’s clinics to my family, friends and dear ones. I have regained my confidence with my new look. Thank you so much Dr. Y.V. Rao and your entire team. The doctor ensured that I feel comfortable and he addressed to the each query I raised. He listened and responded to me patiently while consultation. I was very nervous in the beginning but then I gained confidence and went through nose surgery. And the outcome is absolutely incredible. Thank you so much for adding value to my life. I highly appreciate the great work and efforts put by the entire team. After the nose surgery at Dr. Y.V. Rao’s clinics, I am feeling more confident in my appearance. This surgery has changed my life completely and I am absolutely happy with the result. The doctor and the team are extremely professional, polite and gentle. The warmth of the staff made me really comfortable during the entire process. Thank you so much!!!! My nose was unnaturally wider and bumpy. Thus, I always felt embarrassed about it. When I gathered enough money for nose surgery, I consulted Dr. Y.V.Rao. The doctor did amazingly great job with my nose. Now, it looks refined and natural. The staff was absolutely cooperative and supportive during all stages of surgery. I highly recommend the clinics if at all you are thinking to go for a nose surgery. Going for a nose surgery scared me a lot. I knew that I would look different post-surgery. I raised number of questions during consultation at Dr. Y.V. Rao’s clinics and trust me, I got all the answers satisfactory. I undergo a surgery and guess what, I love my new nose. It looks amazingly natural and suits my face perfectly. I was having a big gigantic nose and that made me extremely conscious while making public appearances in events like party or gathering. People used to tease and make fun of me. I started saving money for nose surgery the moment I started my first job and finally at the age of 30, I have got the nose job done from Dr. Y.V. Rao’s clinics. And after the surgery, for the very first time I feel confident under my skin. Thanks a ton!!! My experience was no less than perfect. The entire team is friendly and wonderfully supportive. The atmosphere and ambience of the clinic is relaxing and calm. The staff makes you feel at home. The entire process of hair transplantation was pretty smooth and painless. My hair fallacies have grown up stronger and healthier. I am very pleased by the treatment I have received.